Patsy Croft an enameling artist is the one behind Alohi Lani. 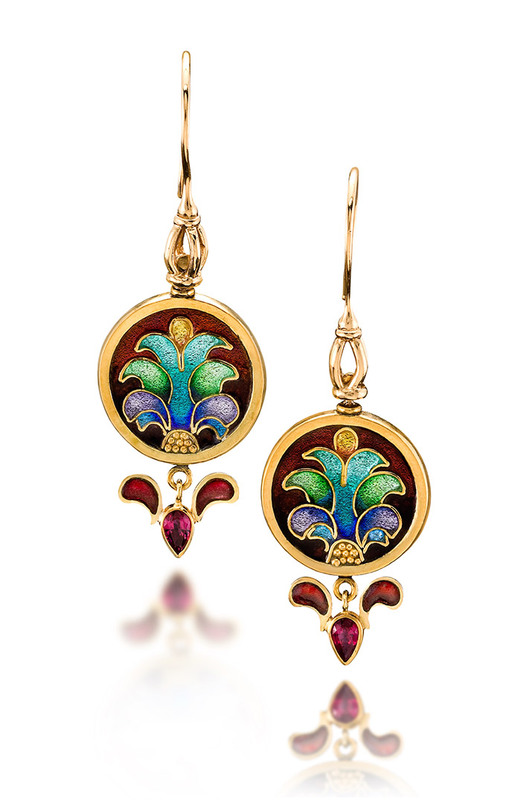 Her passion for life and beauty shines through in her meticulous craftsmanship of Cloisonne Enamel Jewelry and Fine One of a Kind Jewelry. » See the Jewelry Collection. 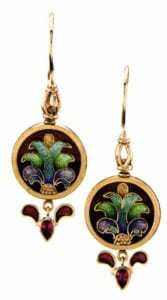 A Fine Arts major from Florida State, she has a varied art background ranging from photography, drawing, fabrics and clay, to her passion art jewelry. 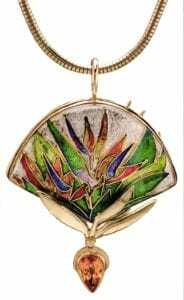 She has traveled the world gathering inspiration from all of her adventures, and now works to create her own wearable interpretations of the natural beauty she has encountered. 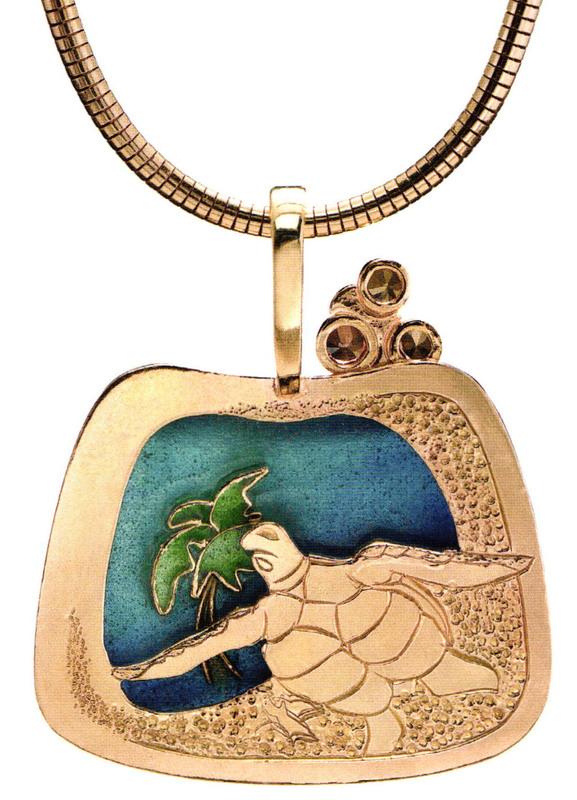 Patsy is passionate about the ocean and the planet and donates a portion of all profits to various environmental preservation groups. 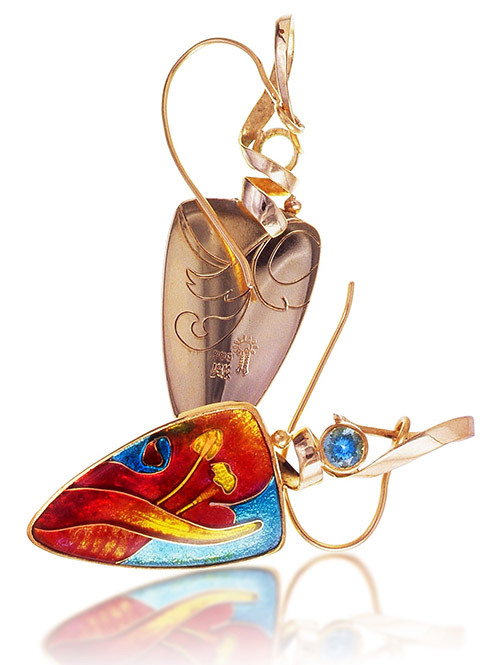 She creates from the finest quality silver, gold, enamels and gemstones. 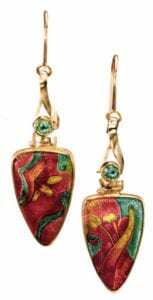 “Bright colors we can find only in nature, quality craftsmanship that will outlast the seasons, and a promise to do my part with the gifts I’ve been given” – Patsy Croft, Alohi Lani Designs, Orange Beach, Alabama. Stylish, intense, yet entirely down-to-earth, Patsy Croft lives life outside the lines, refusing convention and championing individuality. 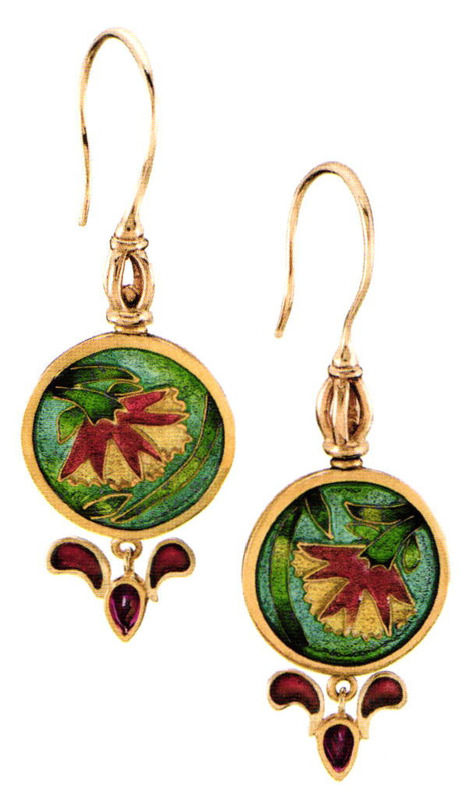 Ironic, considering the cloisonne artist spends her days working carefully inside lines crafted in gold. But creativity will never be easily lost with Patsy. 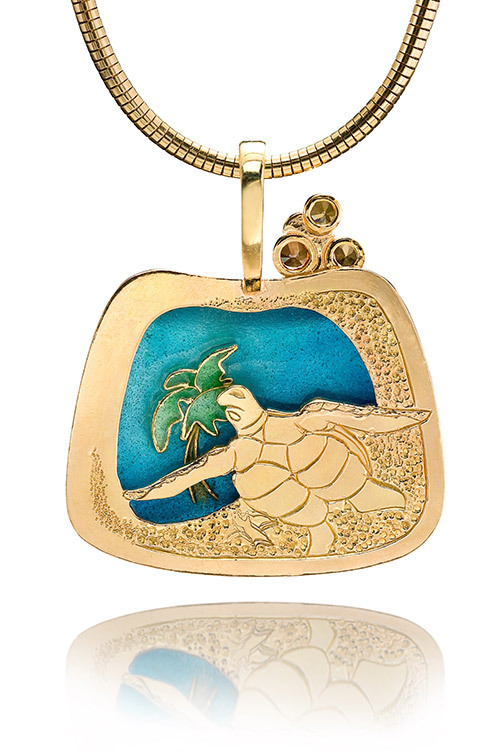 With a body of work inspired by her travels and love of nature, Patsy has earned a national reputation for her jewelry line, Alohi Lani Designs. 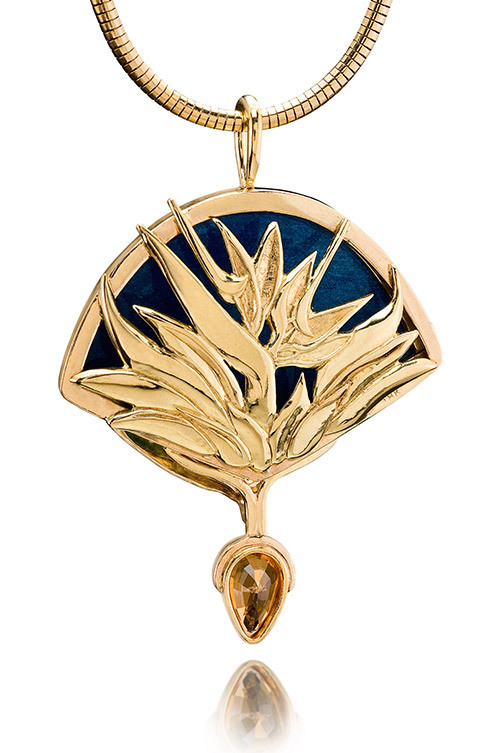 Her timeless, sophisticated pieces sell in a number of high-end locations, including Nordstrom in Hawaii, Abaco Gold in Key West, Gold Chest in Grand Caymans, Makers Mark Sydney, Australia and Master’s Touch in Wakawau Hawaii. 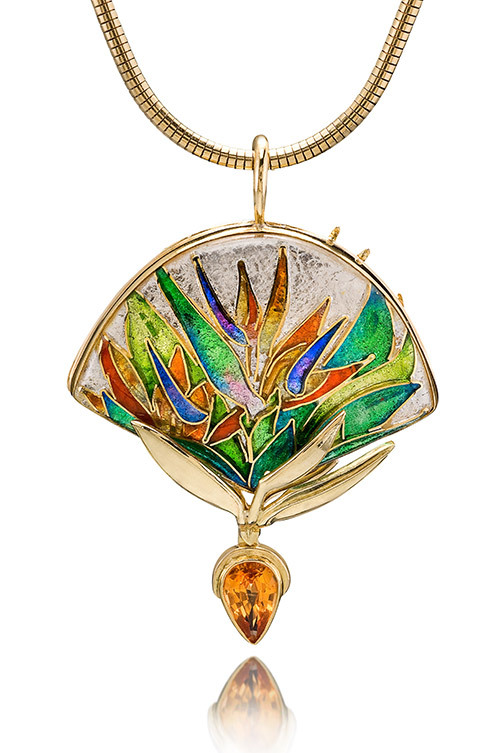 She’s been recognized by the American Craft Council, and the Society of National American Goldsmiths. She’s even designed a piece for Andre Benjamin of the popular hip hop group Outkast, for his Grammy album after he spotted her work in an Atlanta jewelry gallery. For Patsy, cloisonne represents a place to use her line drawings, a way to fulfill her passion for brilliant colors, and a chance to pay homage to the world of nature. A fine arts major in college, she became a prominent hair stylist and art gallery owner in the 1970s, incorporating her love for lines into her work, touring Europe and studying with designers Vidal Sassoon, Molton Brown, Joshua Galvin and many others. But despite her attraction to the latest styles, Patsy noticed that not everyone in the world was so trendy and wasteful. In Europe she saw women purchasing more timeless, quality items. Her experiences provided inspiration for the jewelry she would soon design, as did her exposure to exotic locales like Hawaii, Puerto Rico and Australia. Patsy bought several cloisonné pieces for her gallery in Florida and was hooked. 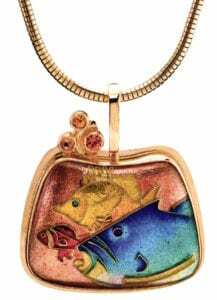 When she moved to Hawaii with her husband and small children, the stunning landscape inspired her to study cloisonné in earnest. “Hawaii is like Candyland for artists,” says Patsy. 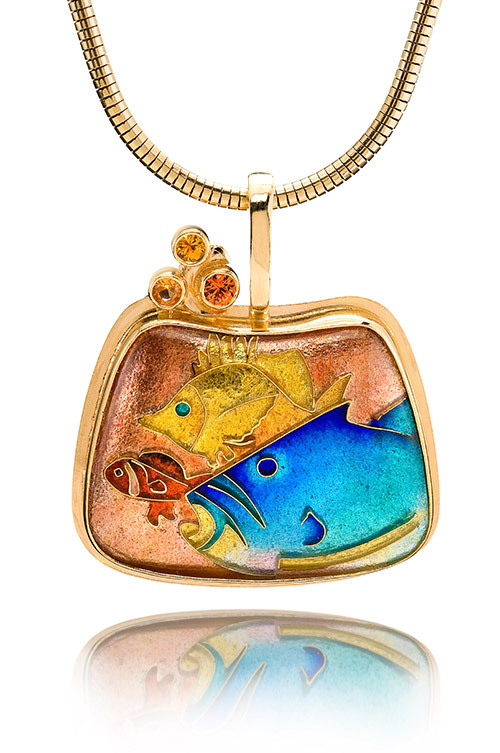 “There are colors everywhere – the fish, the coral, the birds, the flowers, it’s spectacular.” And so her jewelry line was born: Alohi Lani, meaning heavenly light. Since the Crofts lived too remotely to make classes convenient, Patsy read, studied and taught herself. She tried different things and learned what worked. “I love to draw” Patsy says. 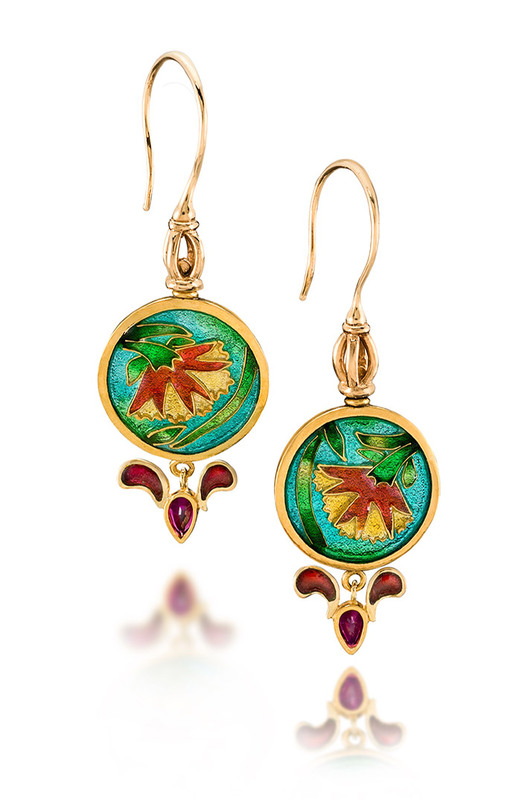 “With cloisonné, wires replace pencil lines, and you’re just filling in the space with colors. I visualize things and work through drawings, then I can sit down and build them. 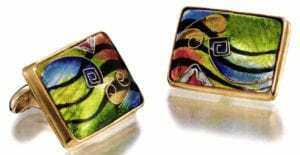 If you can draw it, you can build it.” Patsy’s fascination with detail fits perfectly with the painstakingly delicate practice of cloisonné, from the intricate wiring to the layering and firing of each coat of glass to achieve a deep, vibrant color scheme. As committed to conservation as she is to her work, Patsy strives to create one-of-a-kind pieces that become cherished family heirlooms. In our throwaway society, hooked on trends and buying in bulk, her work speaks to permanence, striking natural beauty and using adornment to set oneself apart. 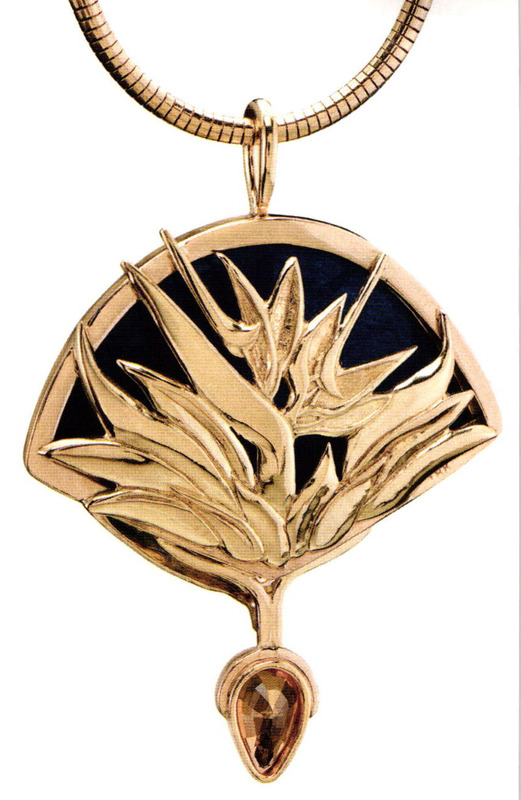 She donates a portion of her proceeds to environmental groups. Today Patsy works from a studio in her home in Orange Beach, Alabama. Her daily companion, a German shorthair pointer named Kona, faithfully reminds her to get outside from time to time. “She’s my walking and running partner” says Patsy. “Getting away clears your mind. There’s an anxiousness to making something beautiful. You don’t do this quickly.” But simply doing is not enough for Patsy. A born teacher, she seeks to help others develop their craft, exploring new ideas and developing new techniques that provide this generation’s contribution to a centuries-old art form. Spring flower earrings “It seems like we’re all here for a reason, not just to copy everything that’s already been done, but to develop onto it,” she says. “I love to add on to things and stumble into things. That’s how I developed double sided pieces, the back is just another canvas to be used, why let it sit there. I am now working on three dimensional pieces and adding chasing and plique-a-jour to my work. An artist evolves. I am thankful I did not have access to schools as it made me try things that I heard when I returned to the U.S. you can’t. I do not want to keep painting the same painting over and over again.